Loansquare has been acquired by Linedata ! Jemmic in the press: Luxemburger Wort! 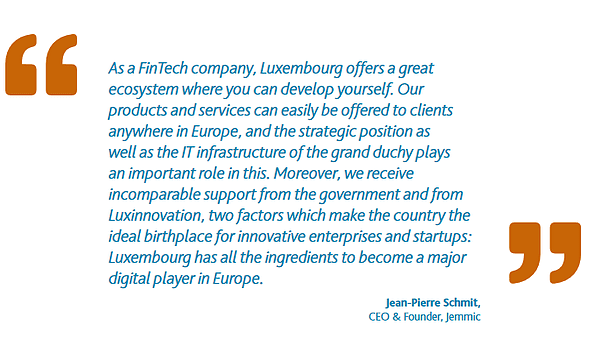 Luxembourg’s Fintech Map – we’re on it ! jemmic present on Unicareers Fair 2017 ! jemmic present on Moovijob Tour Luxembourg Fair 2017 ! ​How do we secure a messaging platform?